Hrmmm. Didn't mean to turn into my father, but I guess that's what happens. 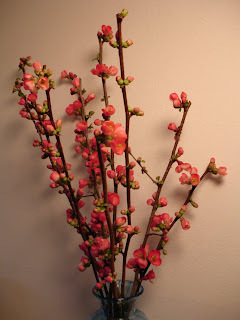 The flowering quince looks beautiful outside, though I need to prune it. That will have to wait until I have another 96L of yard waste space, following collection on Monday.